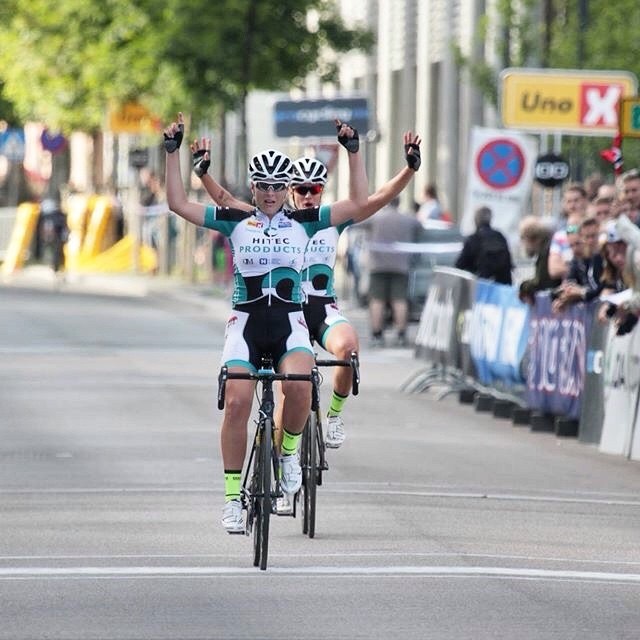 The girls proved in the streets of Gjøvik that they know how to race criterium. After early decimation of the peloton Miriam escaped and rode solo, until Thea came up to her. In the end Thea crossed the line first to her second criterium title, Janicke attacked to take the bronze, while Emilie took the sprint for 4th in the remains of the escape group.